PriceCheckIndia is pleased to introduce India’s first service providing comparison shopping functionality for 3rd party websites and blogs. We invite existing and aspiring eCommerce companies to partner with PriceCheckIndia to enhance your site and content by integrating PriceChekcIndia's industry leading comparison shopping functionality. Our REST based api solution is built using industry standards and can be easily integrate into your system. Currently our api's supports price comparison across major e-commerce stores in India. We can also add any other store for comparison on request. PriceCheckIndia's price comparison api can complement your existing e-commerce initiatives, so don't wait and get your API access today! Absolutely FREE, no costs involved. Build links with your own affiliate IDs. Recieve affiliate commisions directly from individual stores. 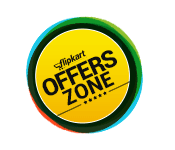 Complete access to product prices from more than 50 categories across all major stores in India. No limits in any form, open access to all categories and stores. Price comparison across more than 15 major stores in India. Signup Now and Start Earning Instantly! Please drop an email to api [at] pricecheckindia.com and we will get back to you as soon as possible..